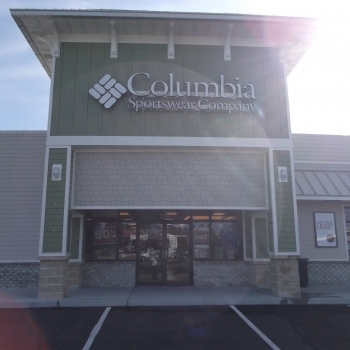 The Hagerstown Maryland Columbia Outlet opened on October 9, 2009. Our store is located in the Prime Outlet Mall off of Route 70 and Route 98. Our mall has over 100 name brand stores to shop from, and we are located on the corner of the mall across from the food court. We are within a short drive from the sites of the Antietam and Gettysburg Battle fields. In addition, the Appalachian Trail and C&O tow path are both right nearby if you're looking for a hike. Columbia has been creating innovative apparel, footwear, accessories and equipment for outdoor enthusiasts since 1938. Columbia has become a leading global brand by channeling the company’s passion for the outdoors and innovative spirit into technologies and performance products that keep people warm, dry, cool and protected year-round.